Camp is around the corner! CSA Camp is an essential component of our THRIVE value, giving students an opportunity to courageously challenge themselves beyond the normal confines of a classroom. At camp students experience the great outdoors, connect deeply through challenging and fun activities, and learn more about themselves and what they’re truly capable of. 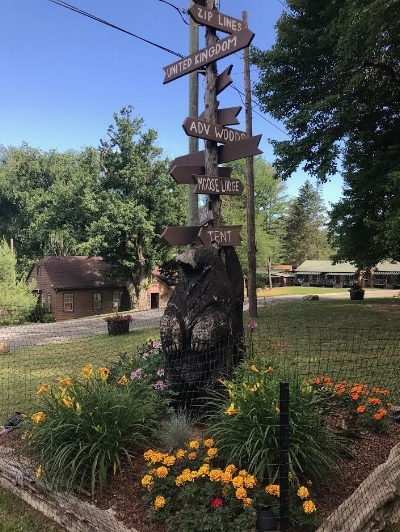 Most of our camp trips are held at Club Getaway, located two hours outside of NYC in Connecticut. For all trips, we will leave early the morning of camp (6 AM!) in order for us to take full advantage of all the activities Club Getaway has to offer, beat the traffic, and arrive at camp by 9 AM. For our Fall Camps, students will attend by grade, and all are invited who continue to hold themselves to the high standards of being a successful and creative CSA Artist. As camp draws nearer, we want to make sure we are thoroughly prepared to take good care of all our students while we're away. If your child needs to take ANY medication while we are at camp, including over-the-counter medications, there will be a CSA-designated nurse on sight to administer medication. Links to the 504 Forms which must be filled out by your child's doctor in order for your child to be given medication at camp can be found above. This includes asthma inhalers, allergy medication (prescription & over-the-counter), EpiPens, ADHD medication, or simply ibuprofen if your child is prone to headaches. Students will not be able to take any medications at camp without this completed 504 form. If your student needs medication dispensed at camp, please bring these 504 forms to your child's doctor (he/she will know which form(s) to fill out and sign) and send them back completed and signed along with their medication(s). Prescriptions need to be in their original packaging and cannot be stored in pill boxes or ziploc bags. Similarly, over-the-counter medications needs to be in packaging which proves which medication is enclosed. If liquid medication is being used, the measuring cup needs to be included, and if an EpiPen is needed, please make sure the quantity is correct. (It is common for two EpiPens to be required in the case of an allergic reaction). Lastly, if your child has an asthma pump, please make sure the doctor indicates on the 504 form if the child can self-administer the pump or not.